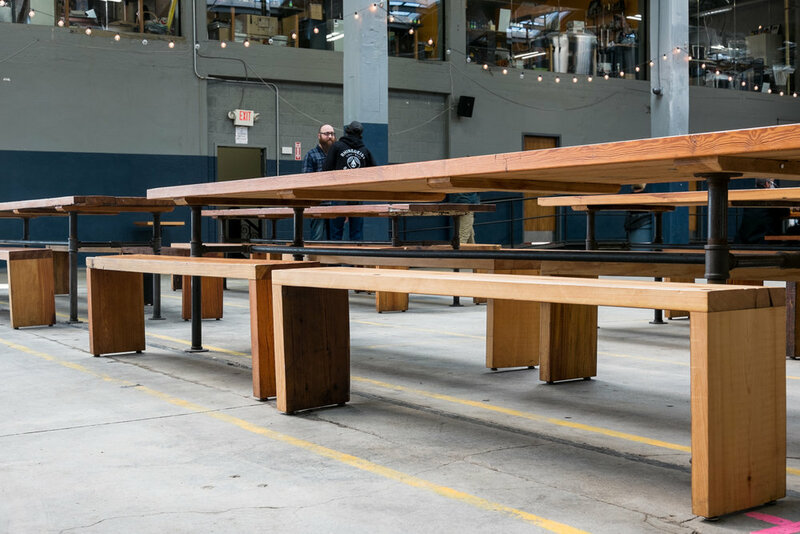 E13 Workshop was commissioned to design, build and implement a mass of large-scale, communal style tables and benches to provide seating in Rhinegeist's 40,000 square foot tap room. 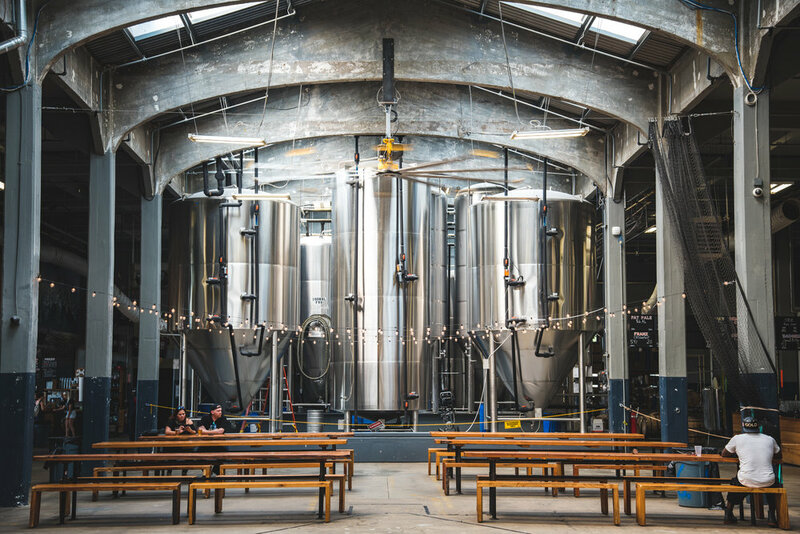 Located in the historic Brewery District in the Over the Rhine neighborhood of Cincinnati, Rhinegeist has revitalized this once active Brew house into one of the country's largest growing craft breweries, preserving local history and providing a transparent look into their process. 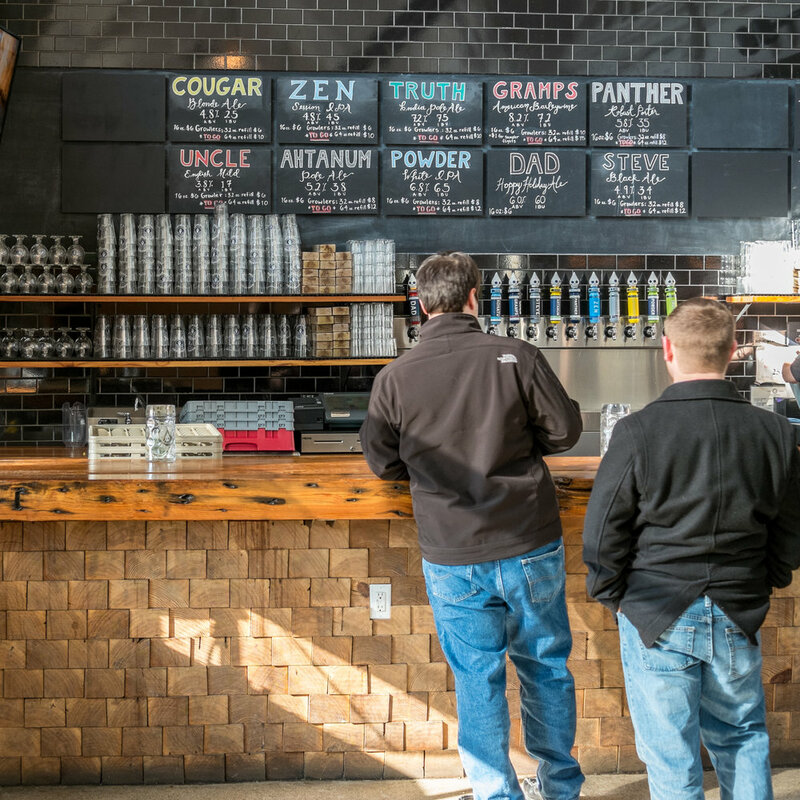 In addition to tables and seating, we constructed the main tap bar, two satellite rolling bars and the new merchandise booth. Reclaimed heart pine and blackened steel tubing were chosen to provide surface and textural detail that match the the building's aged appearance, provide visual interest and exist at a scale that provided a sense of weight that balanced and occupied the vast amount of space appropriately. Project completed with E13 Workshop.